Why does a life-saving drug cost a few dollars per pill one day and then a few hundred dollars the next? Pharmaceutical manufacturers, insurance companies, and pharmacy benefit managers set prices for the medications that patients rely on every day. But how are they making these decisions? Their business models make it hard to know if they are putting profits ahead of patient care, and make it difficult for consumers to hold them accountable. It's time for patients to have the full story. A good first step is calling for increased transparency in determining pharmaceutical costs. For Pharmaceutical Companies that means: Disclosing all costs that contribute to a medication's price as well as any federal benefits received that would offset some of these costs. Also disclosing the manufacturer's profit margin for a medication. For Health Insurance Companies that means: Being transparent about formularies and prescription drug tiering and cost-sharing requirements. Telling consumers in advance what medications are included in their formularies and what their out-of-pocket costs will be. Not charging more for or removing covered prescription drugs within the term of the policy purchased and without properly notifying physicians and patients. Posting a formal appeals process. For Pharmacy Benefit Managers that means: Disclosing formulary information to patients and physicians and requiring disclosure of certain information like rebates and discounts to employers, health plans and pharmacies to facilitate greater cost savings for patients. Americans spend billions of dollars each year for their prescriptions, the least these companies can do is let us know what we're paying for. Tell Congress to demand pharmaceutical companies introduce this basic level of pricing transparency to the general public. Americans deserve increased transparency when it comes to the price they pay for prescription drugs. Currently, pharmaceutical manufacturers, insurance companies, and pharmacy benefit managers set prices for the medications that patients rely on every day. But how are they making these decisions? Their business models make it hard to know if they are putting profits ahead of patient care, and make it difficult for consumers to hold them accountable. Ensuring a transparent process for determining pharmaceutical costs is critical. 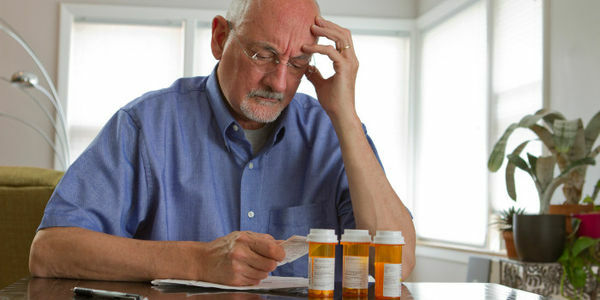 It means calling on pharmaceutical companies to disclose all costs that contribute to a medication's price, demanding health insurance companies increase transparency about formularies, prescription drug tiering and cost-sharing requirements for consumers, and it means pharmacy benefit managers disclosing their formulary information to patients and physicians including whether certain drugs are preferred over others. I'm counting on you to support these calls for increased transparency in determining pharmaceutical costs. Americans spend billions of dollars each year for their products, the least they can do is let us know what we're paying for.